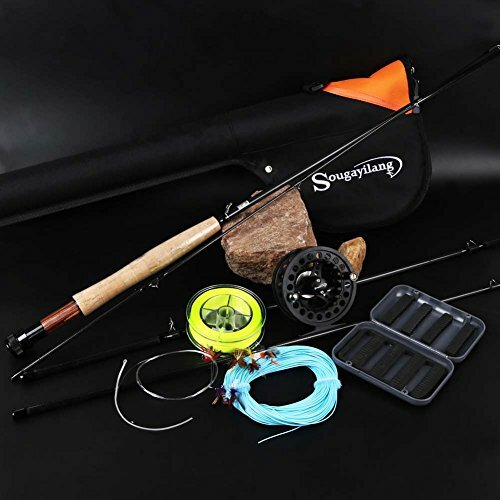 There are very many things you need to learn first before trying to fly fishing. You need to know about things like line selection, rod selection, leader and tippet selection, casting techniques. The skill of fly fishing makes the fish think that the flying object is a real insect and not a threat. Many pros advise those who plan to fly fish that they need to buy two or three rods of the same make. However, the rods should come in different lengths. This is a good way to help you master the basics and help you figure what you should use and when you should use it. What bait will you use? When learning how to fly fish, you need to decide the bait that you will use. It is imperative to ensure that you choose a bait that matches your catch. Find out what is in the area and what they eat using your power of observation. By taking a look at your favorite spots, you will come to find out what lives in the area and what your catch naturally eats. For example, some people fishing for trout find that they can use canned corn. Worms and nightcrawlers are the best baits to use when fishing for panfish. If you are on dry land, ensure that your feet are square with your body so that you will be appropriately balanced. It can be tough to cast when you are off balanced. If you are going to use waders, base your foot position off how fast the current is. If there is a slow or no current at all, plant your feet firmly and not on a slippery rock. Spread your feet apart if there is a moderate or fast current. Avoid turning your back to the current as this may knock you down. We have all heard that practice makes perfect but it has never been truer than with fly-fishing. For casting a fly, there are two main types—overhead and roll. The overhead cast is one of the more common techniques. To start, you will want to hold the rod firmly like you were shaking someone’s hand. Your thumb should be on top of the rod because it helps with control. I tend to hold the extra line in my left hand while I’m stripping out line and getting ready to pick my spot. Lift the rod to get your line out of the water by raising your forearm and ensure your line is tight. From here you will quickly move your arm backward to the two-o’clock position (this is loading the rod). Be sure to pause briefly at the top so your fly swings fully behind you. Once there, you will flick your arm forward and send the fly back in front of you stopping at the 10-o’clock position. If performed correctly your line will start creating a figure eight pattern in the air. I’d recommend practicing this movement without a fly at first because it’s quite unnerving the first few times you see your fly screaming at your face at Mach-one. Fly-fishing is definitely about finesse and timing. With practice, you can almost put your fly right inside the fish’s mouth. The roll cast tends to be used in faster moving water like a stream or river, or can be used if you have limited space behind you to perform the overhead cast. It’s also used if the wind kicks up and makes it difficult to perform an overhead cast. The roll cast is performed in a similar manner to the overhead cast. When you are first loading your rod you will draw it back to about the one-o’clock position just behind your ear and then quickly lower the rod in the direction of your cast. It’s important to not pause at the top or your line will get bundled in front of you, or in some cases around you. Again it’s important to practice these casts in a controlled environment so that you don’t get frustrated when the fish are jumping all around you. Regardless of whether you are using nymphs, streamers or dry flies, you need to retrieve correctly. Ensure that the rod tip is up so that if a fish strikes the fly, it can be easily noticed. It is a good idea to pull your line with your off hand instead of reeling it in. Pulling the line back will save time later so that you don’t have to take it back out on your next casts. When you go fly fishing, it is a good idea to go with someone more experienced than you. Go with someone familiar with the area or familiar with the art that can go a long way towards making sure that you avoid basic mistakes. Nothing beats good instruction regarding learning how to fly fish. 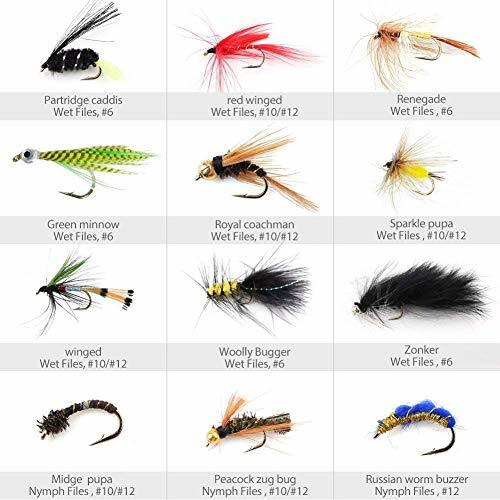 This entry was posted in Fly fishing and tagged fly fisherman, fly fishing, fly fishing rod.